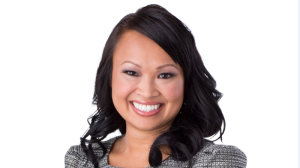 Ann Luu is the Weather Anchor for CTV Vancouver News at Noon, 5, 6 & 11:30. But her duties don't stop there. Being an animal lover, Ann also hosts a weekly pet segment focusing on animal welfare, nutrition, health & trends. You can also see her take on other people’s job in her featured segment “Ann Luu’s In Your Shoes." Ann also hosts Community Calendar and Best of BC on CTV Vancouver, keeping residents across Metro Vancouver up to date with events happening in their area. Raised in the Lower Mainland, Ann has worked in radio and television for the past 10 years primarily as a weather and traffic specialist, most recently with CBC Radio One’s Early Edition. Ann has a Bachelor of Arts degree from the University of Lethbridge in Anthropology and upon completing her education; she decided to return to the West Coast to pursue her life long dream of broadcasting where she enrolled at Columbia Academy earning a scholarship and her Broadcast Performing Arts Diploma. Named as “One of the Top 10 Beautiful People in British Columbia” from TV Week Magazine in 2009; Ann volunteers as an Outreach Ambassador with the BC SPCA. She loves hiking, skiing and enjoys travelling with her husband and her two Boston Terriers Ramsay & Nitro.